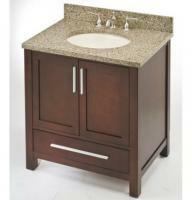 Bring elegance and functionality to your bathroom vanity space with this traditional single sink vanity selection. The medium walnut tone provides luxurious color for your wall while the white ceramic integrated sink and counter top provide a lovely contrast. 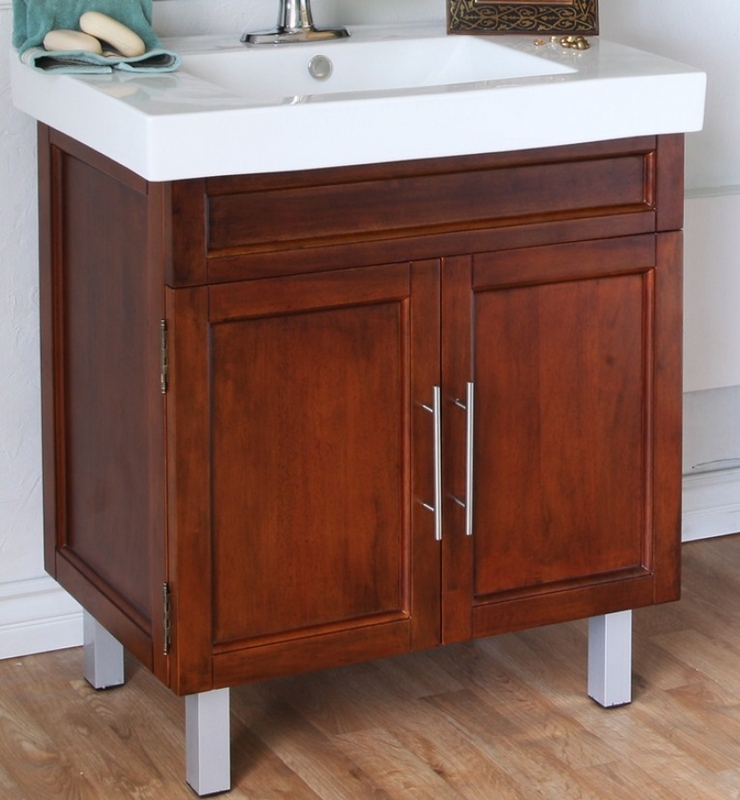 A large under sink storage space adds functionality to the piece. I had a wonderful experience using Unique Vanities - the countertop was cracked during shipping and I did not notice the crack when I looked at it when it was delivered. 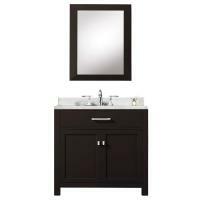 Unique Vanities is working with me to replace the countertop. Love the vanities and countertops! They are the exact sizes I needed. Q: What are the feet made out of? A: The feet are metal and are chrome plated.